Today, we are sad to hear the news of Shashi Kapoor’s death. He had a huge fan following and we still can’t believe that he is no more with us. Social media is flooded with condolence messages for the LEGEND. However, there seems to be a goof up, because some of them called Shashi Tharoor’s office. 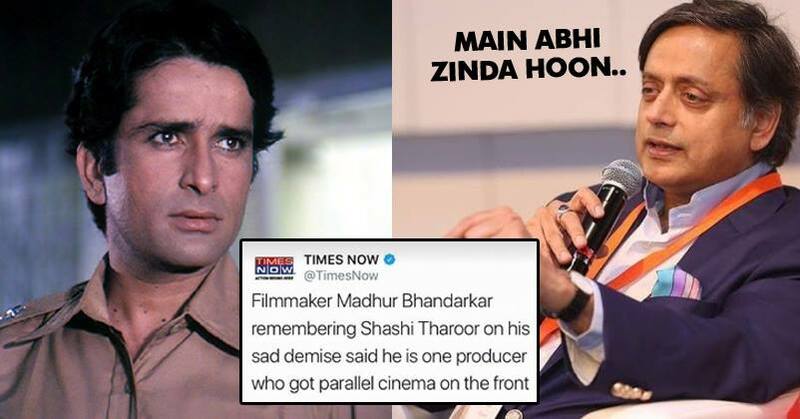 Yes, people actually mistook Shashi Kapoor as Shashi Tharoor & started pouring condolence messages for him. We apologize for the typographical error on our end. @ShashiTharoor we wish you good health. Media channels should be very careful while tweeting, because this is a very sensitive matter. What do you have to say about this goof up? Shashi Kapoor Passes Away At 79. We Have Lost Another Legend.